We found some backswimmers in a water lily pond and bought them home to study. 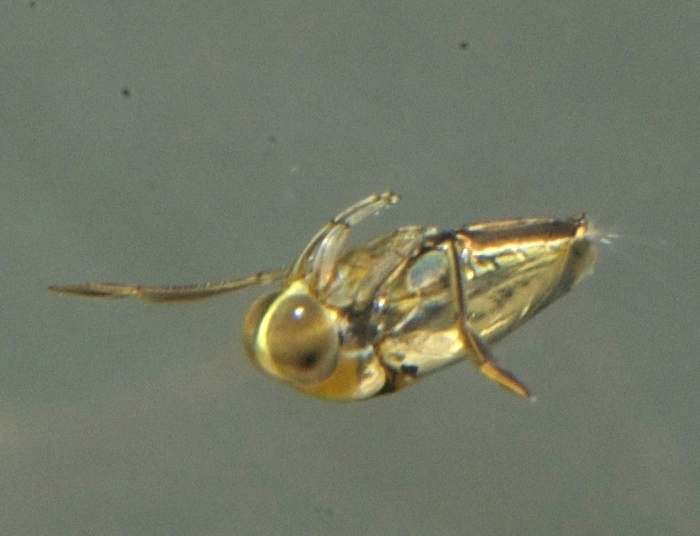 These bugs have an elongated pair of back legs for propulsion and swim on their backs (unlike water boatmen). 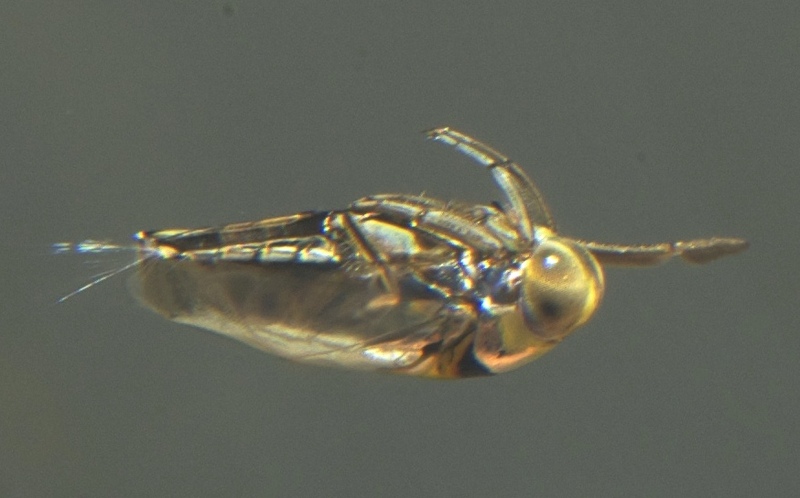 They are predators, eating other pond invertebrates, including mosquito and other larvae. They trap an air supply on hairs on their back. You can see the shiny bubble of air in the photo below. The male animals stridulate, to attract a mate. This chirping sound is made by rubbing a rough area on their legs against their head. In spite of being underwater the sound is quite loud. When it’s quiet at night, you can hear them throughout the house. Here’s a recording of a couple of chirps. 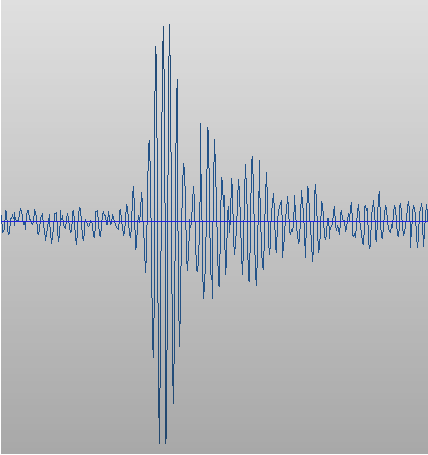 This is the waveform. There are two short chirps three-quarters of a second apart, followed by a string of closely spaced chirps. Typically there are five chirps, but we have observed up to a six and as few as two chirps in the sequence. 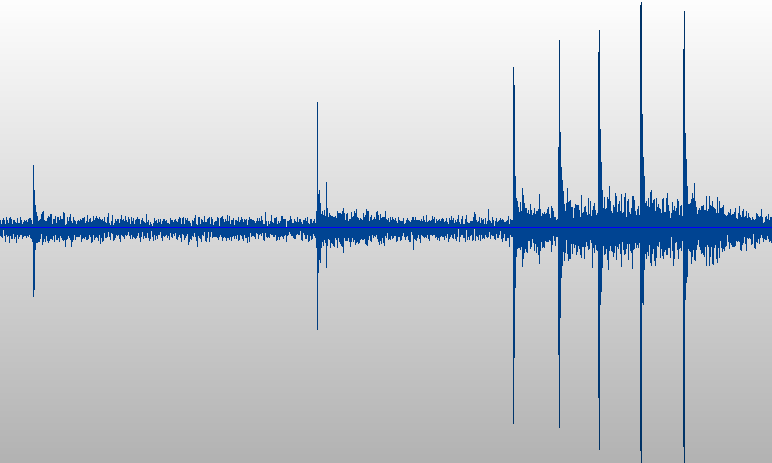 Zooming in on a single chirp, it’s a 5kHz tone with an 800Hz modulation.